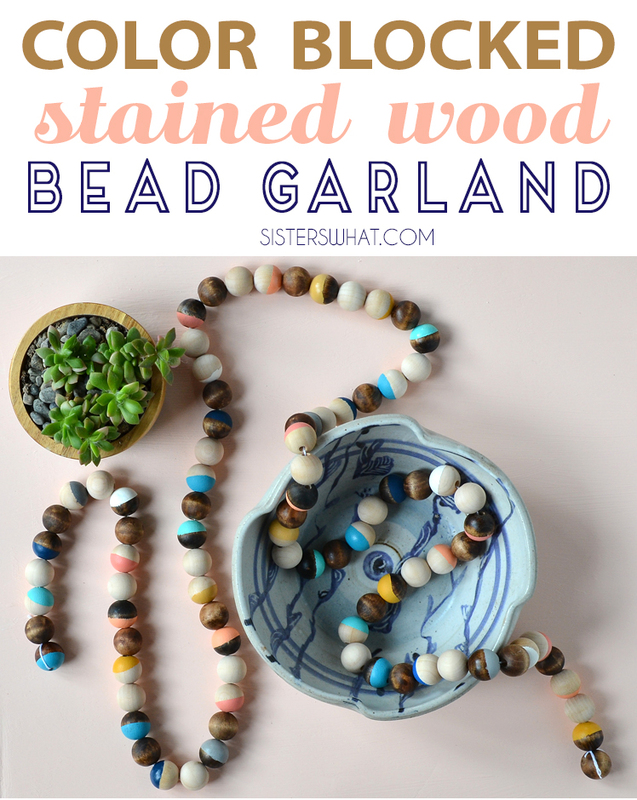 ' Color Blocked Stained Wood Bead Garland - Sisters, What! 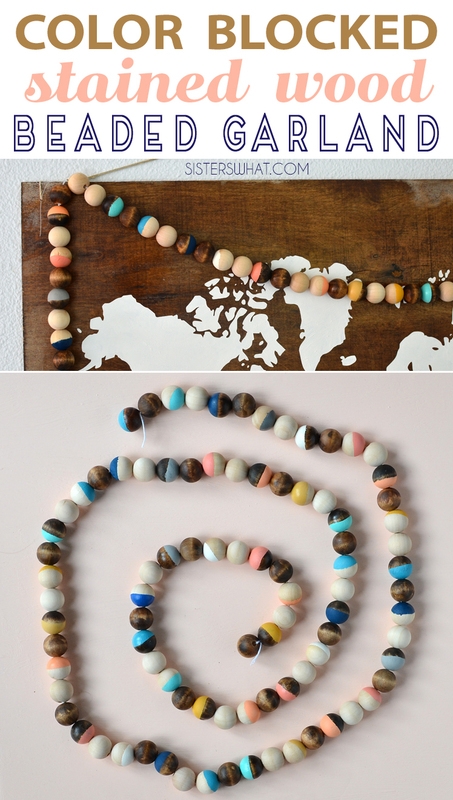 This color blocked stained wood bead garland was fun to make and easy to customize in any colors to match your home or apartment. String it on the mantle or use as party decor. Thanks to Consumer Crafts for sponsoring this post! 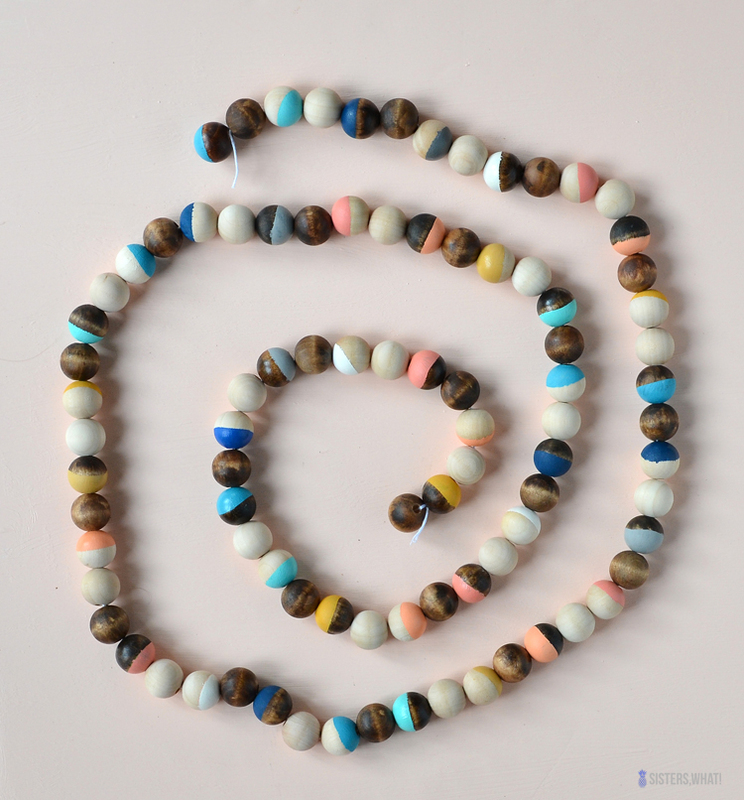 One of the things that I recently made to add color, was this color blocked stained wood bead garland. It was fun to make and customize in the colors that I wanted. However, staining some of the beads did take a little more time, but I love the stained beads so much! 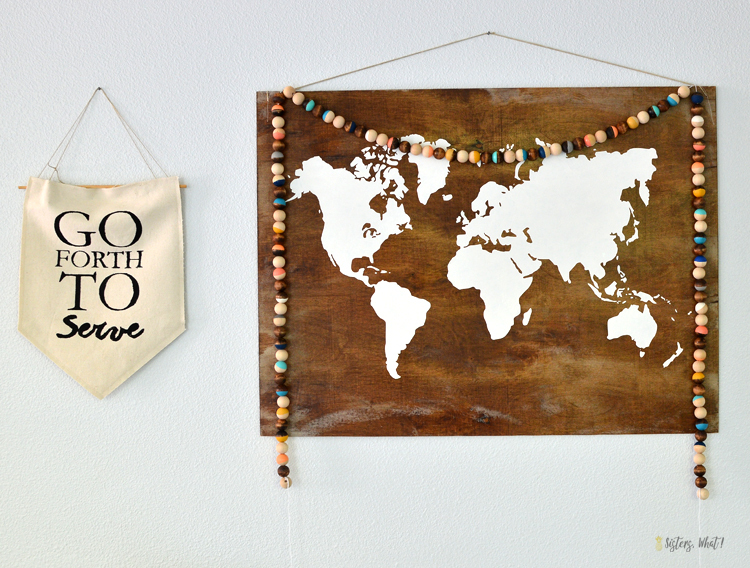 I placed it on my DIY Plywood World Map Art and I think it looks great there. 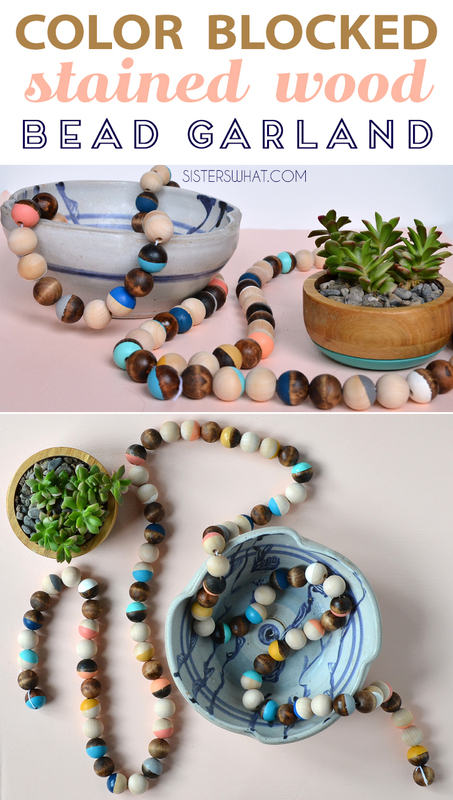 First, if you want to do some stained versions, then you are going to want to stain your beads first. I decided to make this step easier, to cut a wood dowel (I actually used shish kabob skewers but they were probably the size of a 1/8" dowel) to 3 inches a piece. I then added tape on the bottom to hold the beads in place while I stained them. Next, tape half of the beads (both stained ones and some that I left plain) with painter's tape. 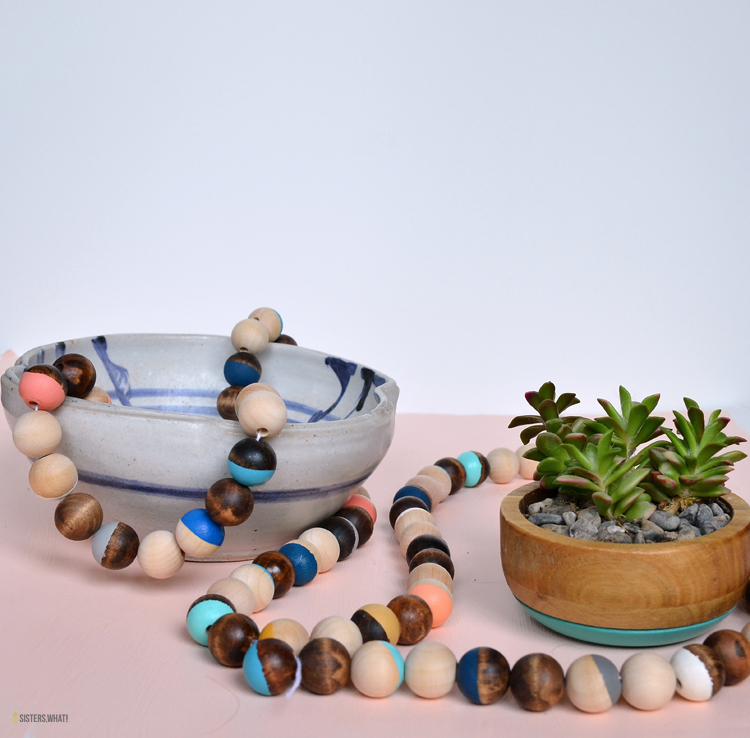 After, you can hold the beads by the tape and paint or even use a tooth pick. I painted them and decided to use the foam block again to let the paint dry. 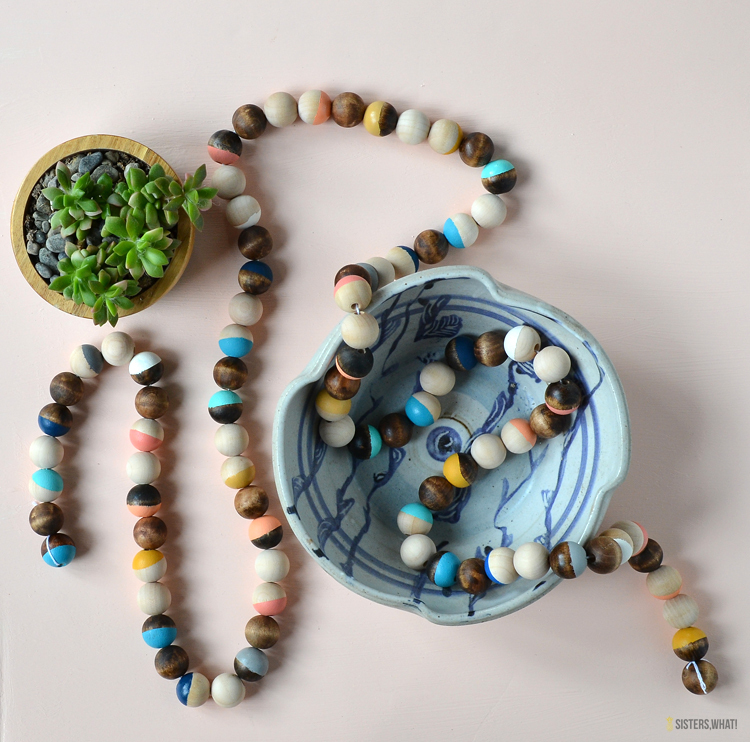 Then, string your beads onto embroidery thread or string of choice with a blunt plastic needle. This part can be really fun at making a fun pattern or you can keep it completely random. 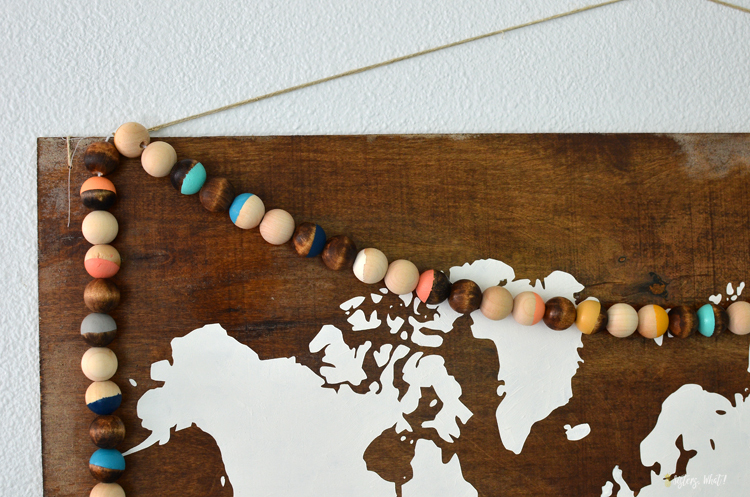 String as many beads as you'd like then choose a fun spot to hang your new DIY bead garland.